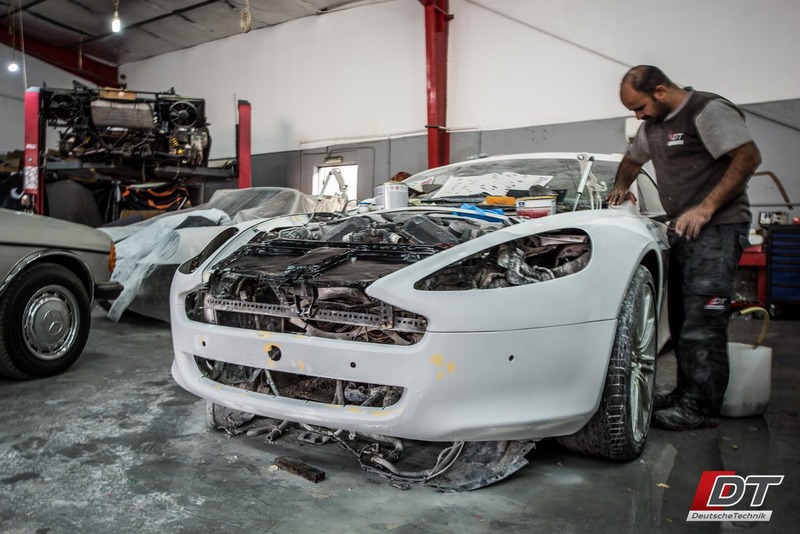 Car Denting & Painting at DT Service Centre in Al-Quoz! Deutsche Technik’s painting equipment consists of a state-of-the-art paint booth featuring both a filtered intake and exhaust system. The air supply comes from a smooth screw-type compressor with a built-in dryer and two filters. Before the air finally reaches the paint booth, there is yet another dryer to make sure that nothing but the smoothest, driest, and cleanest air supplies the paint guns. Our team of two painters have a combined 57 years of industry experience and have produced some of the most beautiful paint jobs in the UAE. 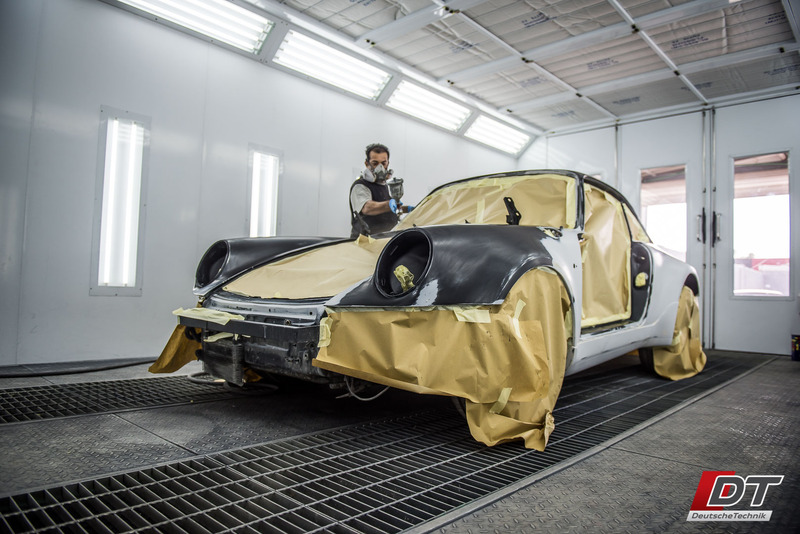 A flawless paint job must be accompanied with top-notch body work and paint preparation. Oftentimes, poor body work can result in a poorly shaped panel that must be compensated with by excessive amounts of body filler. At Deutsche Technik, we make sure to form the body into nearly its final form that a minimal amount of filler is needed. In general, an area that requires both denting and painting is 800 AED per panel.